The capital of Matanzas Province straddles Matanzas Bay, 100 km east of Havana. Steam railroads connected its docks with nearby sugar mills in 1843 and with Havana in 1861. 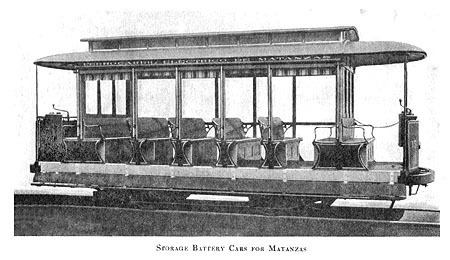 Matanzas was one of Cuba's most important cities in the 19th century and might have been the first to have an electric tramway. A local entrepreneur named José Zabala sought a concession to build "una línea de tranvías movidos por electricidad" in November 1894 [El Pueblo, see BIBLIOGRAPHY below]. But his project was thwarted by Cuba's War of Independence, which began the following February. 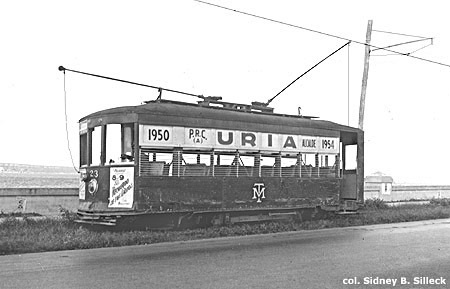 Apparently CSPM was dissatisfied with its battery operation for it ordered 15 "Birney" cars with trolley poles from Brill in August 1919 – and probably sold its battery trams to Cienfuegos. The date when Matanzas strung wire and opened its new overhead system is unknown – but is presumed to have been 1920. 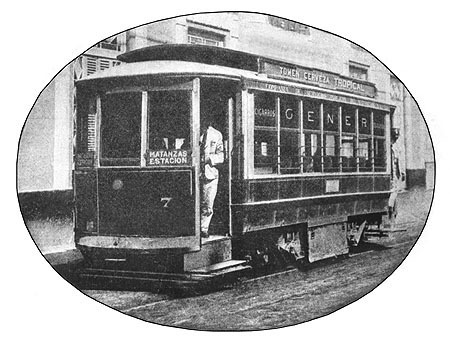 The electric cars of the Hershey Cuban Railway began arriving at Versalles station in 1922 [see map] and the tramway was transferred to the Compañía de Tranvías de Matanzas in 1926. Bus operators stole the tramway's passengers. One of them, Omnibus Urbanos S.A., purchased the tramway company on 29 June 1954 and discontinued rail service on 29 October 1954. The following month a group of unemployed tramway workers in Havana went to Matanzas to support their brothers and try to restore the line. But it was no use. The Matanzas tramway may have been the last to run in Cuba. 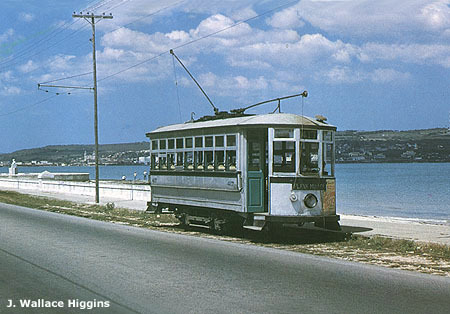 The gasoline tramway in Cienfuegos also closed in 1954, but the month and day are unknown. El Pueblo, Puerto Príncipe. Notices of the electric tramway plan in Matanzas on p. 3 of the "Gacetilla" of 11/9/1894 and 23/11/1894. These articles were kindly supplied by Héctor Juárez of Camagüey (ex-Puerto Príncipe). Cuba Review, New York. Notes about tramway plans and operation in Matanzas in September 1912, p. 14; January 1917, p. 9; February 1917, p. 9. Brill Magazine, Philadelphia. 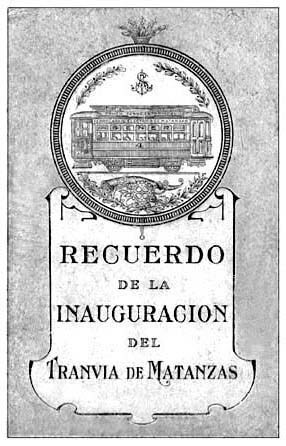 Illustrated articles about the trams that Brill built for Matanzas in November 1916, pp. 342-345, and June 1917, p. 183. Ferrocarril Eléctrico de Matanzas, S.A. Recuerdo de la Inauguración del Tranvía de Matanzas. Matanzas, 17 December 1916. Three-fold pamphlet with large map and description of the tram routes and the tramway company. "Matanzas Se Engalanó para la Inauguración del Servicio de Tranvías." La Lucha (La Habana), 18 December 1916. The tramway opens. This article was kindly supplied by Stanley F. Worris. "Ferrocarril Eléctrico de Matanzas" in Libro Azul de Cuba, p. 286. Havana, 1917. Description, photo and map of the new tram system. J. W. Higgins. 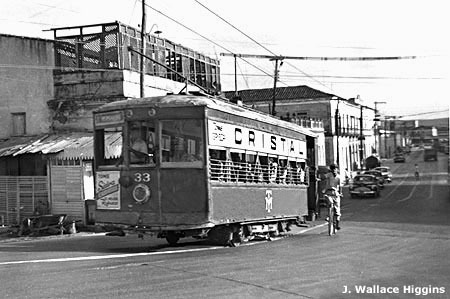 "The Street Railways of Matanzas" in Headlights (Hoboken), September 1954, p. 1. Nice description, four photos.